More than 800,000 unemployed jobseekers will be granted free bus journeys across the country in January next year as part of a new industry initiative, Bus for Jobs. Greener Journeys – the campaign to promote sustainable travel – has forged a deal with theUK’s leading bus companies to enable jobseekers, especially the young, to use their routes free of charge for a month. The distinctive deal – which will cover over 70 per cent of the nation’s bus routes – will give a helping hand to people who are actively hunting for work or training. Bus travel is the most popular mode of transport used byBritain’s commuters, with 5.2 billion bus journeys in theUKeach year. Arriva, First, Go-Ahead, National Express, Stagecoach and others including Blackpool Transport, Kinchbus, Cardiff Bus, Network Warrington and Trent Barton have agreed to support the joint initiative that will provide tangible help for people who are actively seeking work or taking part in training. The Bus for Jobs scheme will provide free travel on the bus services of participating companies for the month of January and jobseekers who have been unemployed for between three months and one year will be eligible, although the scheme is particularly targeted at young people for whom unemployment rates remain high. Latest government figures show the offer will be available to as many as 817,000 people who are currently out of work and claiming benefits. The scheme will cover holders of a JobCentre Plus Travel Discount Card. Those who are eligible for the card, which is available through JobCentre Plus, include people claiming Jobseekers’ Allowance, Incapacity Benefit, Employment and Support Allowance or Income Support and actively engaged with a Jobcentre Plus adviser in returning to employment. It is being publicised locally by the participating bus companies. Jobcentre Plus staff are actively promoting it to those looking for work and full details of the scheme are available on a specially created website: www.busforus.co.uk. At present, the travel discount card allows users to save up to 50 per cent on train journeys, and on public transport inLondon. From January 1, card holders will be able to travel FREE on many buses around the country. InBritainpeople make over five billion bus journeys every year. The bus is a big contributor to the success of SME’s and local businesses, as well as large organisations. Bus travel can connect people to jobs, to leisure and the high street and to education and training. 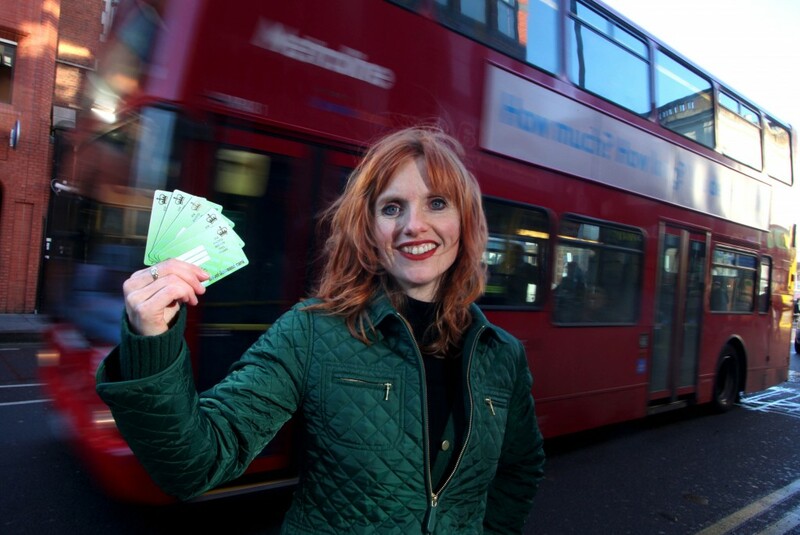 Greener Journeys hopes this new scheme to help people into work will remindUKbusinesses and politicians how important reliable bus travel is to many commuters. “This scheme will help get people on the move and into work or training. Our research shows that bus travel makes a massive contribution to UK Plc; and reliable, affordable, and accessible bus routes can help to boost economic growth. “In difficult economic times, this new scheme from Greener Journeys will provide a helpful start to the New Year, enabling job hunters to travel around more easily in search of employment, to job interviews with prospective employers, and to training courses which will help them find work. “This scheme will give people looking for employment access to free bus travel for one month. This will help many of them secure their first job, or a place on a relevant training course. “Good bus services play a huge role in boosting economic growth by helping people to access employment and training opportunities. I have been encouraging bus operators to look at the fare deals they can offer to young people looking for work, so I congratulate the operators that are doing so in January and look forward to seeing other offers in the future. Job seekers who have access to the scheme will be entitled to make unlimited journeys on almost any local bus service run by Arriva, First, Go-Ahead, National Express, Stagecoach, Trent Barton, Kinchbus, Blackpool Transport, Cardiff Bus, and Network Warrington where fares are under the control of the operator. However, the scheme is not valid on some routes and services operated by these companies such as most of their longer-distance coach services and airport bus services. Details of participating bus companies and routes is available at www.busforus.co.uk. Passengers will need to be eligible for and possess a valid JobCentre Plus Travel Discount Card in order to benefit from the scheme. They will need to present their JobCentre Plus Travel Discount Card to the driver, and carry it on them when making journeys on participating bus routes. The initiative runs for the calendar month of January 2013 – Tuesday 1 January to Thursday 31 January inclusive. Greener Journeys estimate the scheme will cover over 70 per cent of all bus routes inEngland,Scotland andWales. 1 in 10 bus commuters would be forced to look for another job if they could no longer commute by bus. More than 50% of students are frequent bus users and depend on the bus to access education or training. An estimated 400,000 people are in work or in a better job because of the availability of a bus service, equating to £400 million additional gross value added (GVA) per annum. 25% of bus commuters have turned down a job because of a lack of availability or frequency of bus services. Half of bus commuters said they believed access to a better bus service would give them access to a better job and 400,000 people believe they are in a better job because of a bus service. 2.5m commuters require a bus to get to work and a further one million use them as back up to other modes of transport. More than 50 per cent of businesses surveyed rely upon bus services for recruitment and retention, while one fifth of businesses consider the bus to be central to their business operations. Buses are an essential mode of transport, accounting for over five billion passenger journeys every year and are used by one fifth of the country’s working population outsideLondon. Nearly three times as many trips are made by bus as by surface rail and underground combined. Moreover, 25% of households do not have access to a car and are completely reliant on the bus for many of their essential journeys. Buses also provide a cost effective solution to congestion. They are flexible, can deliver extra capacity very quickly, take up less space on the road and when combined with priority measures such as bus lanes can reduce delays and improve journey time reliability. Reduced congestion and the resulting improved network speed and reliability has a direct and significant impact on business costs, enabling the logistics systems and supply chains to operate more efficiently and sustainably. All figures unless otherwise stated come from the Buses and Economic Growth report, conducted by the Institute for Transport Studies (ITS) at the University of Leeds. The report quantifies an assessment of the economic contribution of the bus in growing the economy, connecting people with jobs, helping businesses and supporting the vitality of city centres. It also highlights the significant direct contribution of the bus industry itself in creating employment and investment. To download a summary of the report click here and for the full version of the report, click here.